so clean tracks and all moving parts with household cleaner and dry cloth. ~ ~ ~ Tighten all hardware, including hinges. ~ ~ ~ Check for dented tracks or broken rollers that can cause sticking. ~ ~ ~ Lubricate tracks, rollers, pulleys with wD-40, then silicone spray rollers. If your garage door won’t open or close, the first thing to check is the electricity. Sure, your garage door is plugged in, but has there been an interruption of power somewhere along the line? 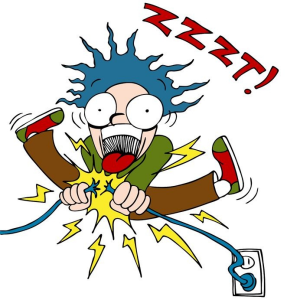 A blown fuse or a tripped circuit breaker? You can test to see if your garage door opener has power by pressing the hardwired button that sets the machine into motion. If nothing happens, check the power. If there is a good supply of power, something more serious might be wrong. Try unplugging the unit and plugging it back in. Look around for loose wiring. The worst case scenario is a blown out circuit board. If you suspect that this is the problem, call an electrician or buy a new garage door opener. If your garage door gets stuck midway between the open and closed positions, you probably have an obstruction that is keeping your garage door opener from working properly. Take a look at the track that raises and lowers your garage door. Is there a foreign body in the way? Remove it and try again. Hopefully, that does the trick. There might also be something jammed in the way of the door itself. If it’s a bird’s nest, try not to kill any of the baby birds when you move it. If an obstruction is not to blame, you might have a few chains that need lubricating. It’s a good idea to lubricate the moving parts of your garage door twice a year, anyway, so don’t worry about getting a little greasy. Lubricate the chain and anything else that moves. Just remember to unplug your garage door opener first, unless you want to lose a finger or two. Some garage doors act like they are haunted, opening and closing on their own. There’s a simple fix, in most cases. Check your garage door remote and get the button unstuck. If that doesn’t work, talk to your neighbors. You may have the same garage door opener as a neighbor does. Call Overhead Door of Northeast Arkansas Glass – 870-336-3667 – let us help you keep your door running. In an age when people are passionate about unique applications and architecture, – entry systems stand out for their modern and distinctive style. The Ditta Enterprises Inc team is continually exploring new ideas, materials, and ways of integrating our products into…everyday designs. Our contemporary glass doors evoke the sensibility of enriched modernism with its clean lines and ergonomic principles. Neighbors, passersby and paperboys will stop, stare, and be astonished. The Series 521 door can be used in an application such as a fire station door or ambulance door with it’s sleek and sophisticated look and light-filtering glass makes it a striking complement to your business. Stronger, lighter struts are part of the rail assembly to achieve a sleek, sophisticated look. Stylish hardware – Hinges and fixtures are galvanized to maintain a contemporary look. An array of glass choices, including double strength, tempered, low e, insulated, obscure, mirrored, reeded and tinted. Light-filtering glass is available to add style while maintaining privacy. Features 197 powder coat color options to best match your home. Clear anodized finish comes standard. Solid aluminum panels – Available for a unique, distinctive look. Design flexibility. Variety of vertical rail widths and horizontal stile widths to complement your home’s style. The black-eyed pea–more of a legume, really–has a lonnng history of good luck, starting with the bible (i.e. Jewish New Year), then migrating to Africa and then to the U.S. in the 1600s with the slave trade. This staple crop of the south hit the big time during the Civil War, when Northern soldiers destroyed everything else growing on rural farms. So for the past 400 or so years, black-eyed peas… have been a nourishing symbol of a lucky, prosperous new year for those beneath the Mason-Dixon line. My very own greatmother a Southerner every year would cook a giant pot of vegetarian black-eyed peas, cabbage and turnip greans with corn bread. Growing up, I always thought this myth of good luck was a ruse to get me to eat yet another bean-based, health dish, but it’s legit. So I always ate them. In their most traditional form, black-eyed peas are cooked with a ham hock (or other pork product) and served with Southern delicacies like collard greens (representing money) and corn bread. Hoppin’ John also is a contender for representing the pea at its best. In short, they’re inexpensive, high in fiber and hold up well to hot sauce. So if you need a little luck for 2013, and can’t find a restaurant to serve you the little buggers on New Year’s Day, I share with you my mother’s recipe below. Add bacon if you like being bad. Big chunk of salt pork & ham bone. In a large pot, bring black-eyed peas, water and bay leaves to a boil then let simmer for 1.5 hours. In separate sauce pan, sauté onions, green pepper, red pepper for five minutes, then add garlic and plum tomato, dry and liquid seasonings. Add black-eyed peas to the pan and simmer for another 2 hours. Be sure to comment with all the money that fell in your lap due to this dish. Black-eyed peas are for health & wealth. Turnips & Cabbage is to receive paper money. I am not taking any chances, we always have all three. September 11, 9/11, will be marked around the United States and the world with many moments of silent remembrance of the thousands who died in the Twin Towers and also for the rescue workers who sacrificed their own lives to help rescue survivors. Ground zero will be one of the places where the families and loved ones of the victims who perished will commemorate the anniversary of the plane attacks. The names of the victims will be solemnly read aloud, and serene, peaceful-sounding music will be played. The memorial plaza, which is now two years old, will on Wednesday see relatives reciting names of the close to 3,000 people who perished when jets that terrorists hijacked crash into the Pentagon and the World Trade Center. Also, the names of the people who were killed in 1993 bombing of the trade center will be read. Wednesday, September 11 (9/11) is expected to be a day spent in honoring the victims of the terrorist attacks. The victims and the sacrifices they made will be forever a part of the American psyche. NEWS ANALYSIS: Employers across the U.S. spoke out about the pending proposed Affordable Care Act (ACA) with concerns with it and it seems the government is listening. 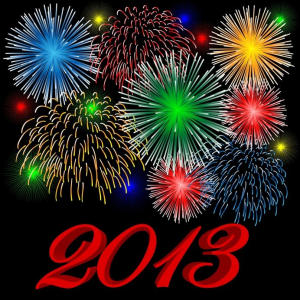 Now, employers will no longer be required to provide health care coverage to employees starting January 1, 2014, as part of the ACA. Small business owners are praising this postponement. 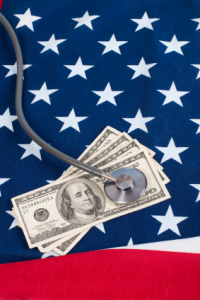 It was announced that the government has postponed the Patient Protection and Affordable Care Act’s (PPAC) mandatory employer and insurer reporting requirements for one year. As a result, the administration also announced that it will waive the imposition of any employer-shared responsibility penalty payments for 2014. This effectively means that employers with more than 50 employees will not be required to provide health insurance to their employees or face a penalty until 2015. The Treasury Department announcement recognized that, for many employers and insurers otherwise subject to these “employer and insurer mandates,” the rules for compliance are just too complex for implementation by 2014. In its announcement, the administration promised to publish formal guidance shortly that will describe the transition that will be taking place from mandatory 2014 reporting to a voluntary system for 2014. It also expects to publish revised information reporting rules for insurers, self-insuring employers, and other parties that provide health care coverage some time during the summer. The administration is encouraging employers that now provide health insurance to voluntarily implement information reporting under these revised rules in order to test their systems before mandatory reporting comes into force in 2015. The announcement did not address the individual mandate that goes into effect in 2014 and requires most individuals to obtain health insurance or pay a penalty. Nor does it apparently delay implementation of marketplace exchanges. If you are having trouble with your garage door, it may be due to some problem with the springs. 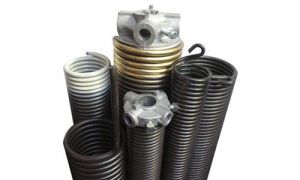 Garage door springs do break, and they can be replaced. I won’t try to convince you not to take that approach if you need new springs, but I will strongly suggest that you carefully weigh the risks versus the rewards in this project before deciding to do so. The best sign of a well-functioning garage door is that it opens and closes smoothly and quietly. …When it stops working as it should, the problem can be serious. Try operating the garage door manually (pull the cord attached to the arm connecting the rail trolley system to the door). If the door continues to be difficult to operate, the problem could be that the springs are out of balance. In this case, you can be confident that the problem isn’t going to fix itself. And failing to fix it could result in an escalating list of worn and broken parts. Call us asap. Garage door springs are attached to brackets on the bottom of the garage door. As with the springs, these brackets are also under a lot of tension and should only be adjusted or otherwise maintained by a pro. Newer models of garage doors have tamper resistant brackets that prevent the curious but inexperienced among us from getting into trouble. Call us anytime – let us help you – 336-3667 as for Tipp or Steve at Ditta Enterprises Inc.
For many home owners, the garage is the place where you store all the stuff you don’t know what to do with, and if you’re lucky, the car may fit in there, too. But as the price of real estate has risen, the room that’s often the most neglected and underutilized in the house also has grown in value. Savvy real estate professionals and sellers are now staging the garage along with the rest of the hC Users admin Pictures OHD car resized 600C Users admin Pictures OHD car2 resized 600ouse, and getting higher returns for the effort. 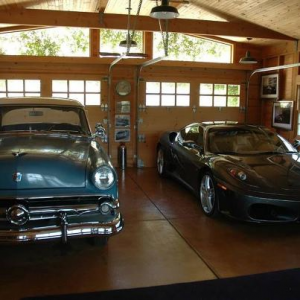 In some cases, a home owner’s special interest may drive the use of the garage. Gardeners may have special bins built for soil and fertilizer. Golfers may install customized cabinets for their golf clubs. Exercise enthusiasts may outfit the space with workout equipment. 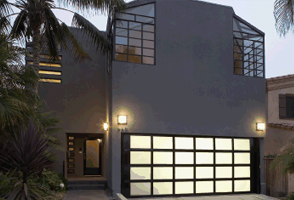 Garage – Why it is Important to Protect Your Garage With a Quality Door. One of the largest rooms in the house is the garage. You may not consider it a room, but it is a major extension that must be taken care of for many reasons. Making sure that it has a quality door is an important measure to protect this all-important room. 1. Security- While you may think of it as a storage area, a place where… your car lives, but not really a part of the house, the garage is actually an extra line of defense between your family and the outside world. Think of it as a movable wall of the house. Because of this, you should choose a quality sturdy door. 2. Privacy- You don’t have to enclose this area, but if you want to protect your belongings and your privacy, it makes sense to install a door to keep prying eyes out. Whether you use it to park your car or as a storage room, you don’t want to advertise what you have. You may also want to hide the mess it has become because this room also becomes a catch-all for things that haven’t made it into the attic. 3. Increase storage/room space- Adding a door can increase your storage space by a couple hundred square feet. Now that you have the security and privacy, you can keep other valuables besides the cars in this room. You also have an additional room for social occasions. Especially when the party is outdoors but the weather doesn’t cooperate. You may not want people tracking dirt and mud through the house, but you can move the party into this room and protect people from the elements as well. 4. Energy efficiency- When it is attached to the house, a garage has a direct impact on the energy-efficiency of the rest of the house. By adding a door, it helps regulate the temperature which affects the interior temperature. Additional steps to take include insulating the door and installing weather-stripping. There are doors that are Energy-Star compliant that not only help reduce your power bills, but can also earn you a tax credit of up to $1500 if installed before December 31, 2010. When you are looking for a dealer to install your new door, choose one who is experienced and trained in installation and repair. Also, find about the warranty service. Once you have a quality door for your garage, you and your family, your belongings and your home are protected. We are always proud when we can thank one of our employees for exceptional work – Sara we are proud of you. Thank you for such an excellent job! Thank you to David Hicks & Residence Life at ASU! Y’all sure made a girl feel special today! 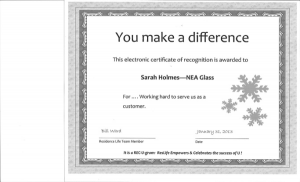 We have the greatest customers ever at Northeast Arkansas Glass, Ditta Door & Hardware & Overhead Door Company of NEA!